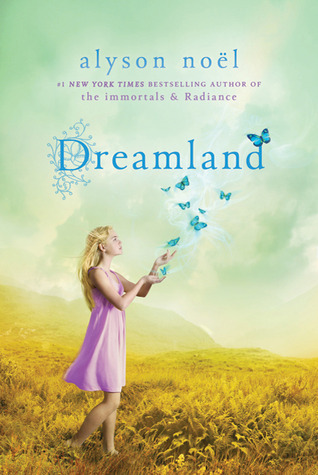 Very rarely do I enjoy books in a series more than the first one, but Dreamland, the third book in the Riley Bloom series, is the best by far. Perhaps my greater enjoyment of this book was a result of listening to the superb audiobook narrator, or maybe it was just because Riley's growth as a character and her humility is beginning to make her more likeable. I'm looking forward to reading the 4th book in the series. 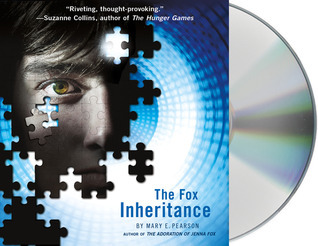 Kathleen McInerney, the narrator of the audiobook, has a beautiful voice that possesses the perfect youthful tone to it that made it believable but not so youthful that it was annoying. 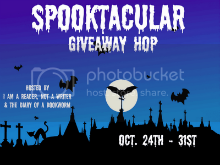 This blog hop is hosted by I am a Reader, Not a Writer and The Diary of a Bookworm. Was the “Blood Countess” history’s first and perhaps worst female serial killer? Or did her accusers create a violent fiction in order to remove this beautiful, intelligent, ambitious foe from the male-dominated world of Hungarian politics? In 1611, Countess Erzsébet Báthory, a powerful Hungarian noblewoman, stood helpless as masons walled her inside her castle tower, dooming her to spend her final years in solitary confinement. Her crime—the gruesome murders of dozens of female servants, mostly young girls tortured to death for displeasing their ruthless mistress. Her opponents painted her as a bloodthirsty škrata—a witch—a portrayal that would expand to grotesque proportions through the centuries. In this riveting dramatization of Erzsébet Báthory’s life, the countess tells her story in her own words, writing to her only son—a final reckoning from his mother in an attempt to reveal the truth behind her downfall. Countess Báthory describes her upbringing in one of the most powerful noble houses in Hungary, recounting in loving detail her devotion to her parents and siblings as well as the heartbreak of losing her father at a young age. She soon discovers the price of being a woman in sixteenth-century Hungary as her mother arranges her marriage to Ferenc Nádasdy, a union made with the cold calculation of a financial transaction. Young Erzsébet knows she has no choice but to accept this marriage even as she laments its loveless nature and ultimately turns to the illicit affections of another man. Seemingly resigned to a marriage of convenience and a life of surreptitious pleasure, the countess surprises even herself as she ignites a marital spark with Ferenc through the most unromantic of acts: the violent punishment of an insolent female servant. The event shows Ferenc that his wife is no trophy but a strong, determined woman more than capable of managing their vast estates during Ferenc’s extensive military campaigns against the Turks. Her naked assertion of power accomplishes what her famed beauty could not: capturing the love of her husband. The countess embraces this new role of loving wife and mother, doing everything she can to expand her husband’s power and secure her family’s future. But a darker side surfaces as Countess Báthory’s demand for virtue, obedience, and, above all, respect from her servants takes a sinister turn. What emerges is not only a disturbing, unflinching portrait of the deeds that gave Báthory the moniker “Blood Countess,” but an intimate look at the woman who became a monster. My best-ever Halloween costume was when I was a Freshman in high school and my friend Renee and I dressed up as Wayne and Garth from Wayne's World. We used to quote lines from that movie all the time so it was only fitting that we'd dress up as them for Halloween. I was Garth and I wish I still had a picture of it because everyone told me I looked exactly like him. Ever since Michael Symon competed on and won The Next Iron Chef a few years ago, I have been a huge fan - of his cooking, his humor, and his infectious laugh. I admire his unapologetic love for his hometown of Cleveland, Ohio and further love his commitment to his Midwestern roots as evidenced by the choice he made to expand his empire in the downtrodden city of Detroit rather than a foodie hotspot like New York or Las Vegas. A move like that shows he's not just in this business to make money and that gritty places like Cleveland and Detroit that most people disregard and even scoff at are his bread and butter. I have partaken in two meals at Roast, his Detroit restaurant, and I can tell you that the food is amazing. Just don't consider going if you're a vegetarian. 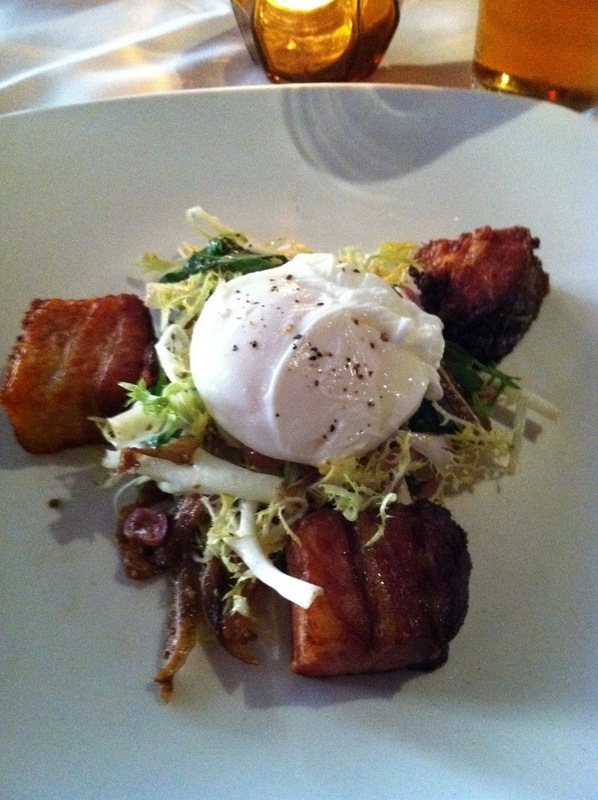 Even salads at Roast are teeming with giant carcasses of meat, as you can see in this "salad" of frisee, crispy pig ear, a poached egg, and giant lardons of bacon that you had to cut through with a steak knife. Yes, according to Symon, this is a salad. So yeah, Symon is clearly a hearty Midwestern boy. But his cooking philosophy is so much more than just BIG MEAT. What really impressed me about this book is that, given the gargantuan amount of new recipes I try every year and the fact that I know most of the basics of cooking techniques for the home kitchen, this is the first cookbook since I can't remember when that I actually learned something new. You have no idea how much this excited me. I had worried that I had expended all of my learning and that I was doomed to just repeat the same old tired dishes and techniques for the rest of my days. 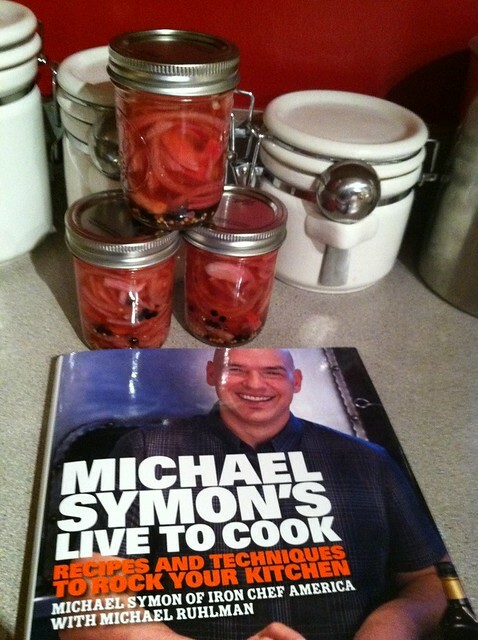 But alas, Michael Symon came along and shone a light on new and exciting possibilities. 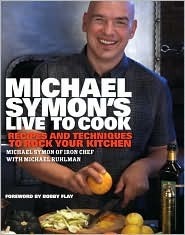 So let me share with you a few tidbits of what I learned in this wonderful compendium of "Symon Says." First of all, one of the biggest ideas I took away from this book was the need for balance in a dish. Symon says that the main reason dishes fail is not because they taste bad, but because they do not have a balance of flavors and textures. Almost every heavy dish has to have some sort of acid component to try to cut some of that heaviness. This philosopy was made perfectly clear at Roast. 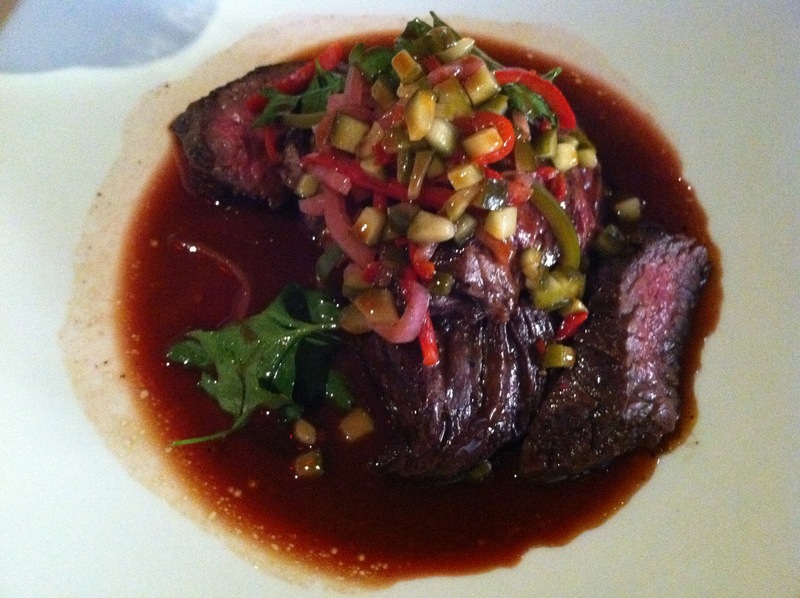 As you can see in this picture, that is a rather large hunk of meat swimming in a rich sauce but to balance out that fatty richness, the dish is then it is topped with a fresh and spicy pickled relish. OK, so I've been blathering on about the food at Roast, but what's the cookbook actually like? Are the recipes any good and are they easy to follow is what you're probably asking yourself right about now. The answer is yes and yes. Firstly, I tried his master pickling recipe for onions and will be using it on a regular basis. It is so easy, quick, and perfect for adding that acid component to rich dishes that it's a great have on hand sort of item. In fact, I so loved the pickling recipe that I canned a few jars and gave some to my mother-in-law for her birthday (among other things - I didn't just give her onions!). And those pickled onions were an extremely important component to the next dish I tried which was the Lola Burger. This is the burger he served at his very first restaurant and continues to put it on the menu at all his other restaurants, including Roast. The first time my husband and I went to Roast he ordered this burger and we ended up trading dishes because it was literally the best burger I'd ever had in my life and the dish I'd ordered was not doing much for me. Since my husband will eat anything, he was gracious enough to switch plates with me. With the memory of that burger in my mind, I set to work in recreating it in my own kitchen, worried that it wouldn't actually taste as good as it did when I had it at Roast. But guess what? I needn't have worried about being able to recreate the magic of Roast because it was literally the best burger I've ever made in my entire life. Try not to drool. I dare you. So what exactly sends this burger into the stratosphere? Well, it goes back to Symon's philosophy of balance. 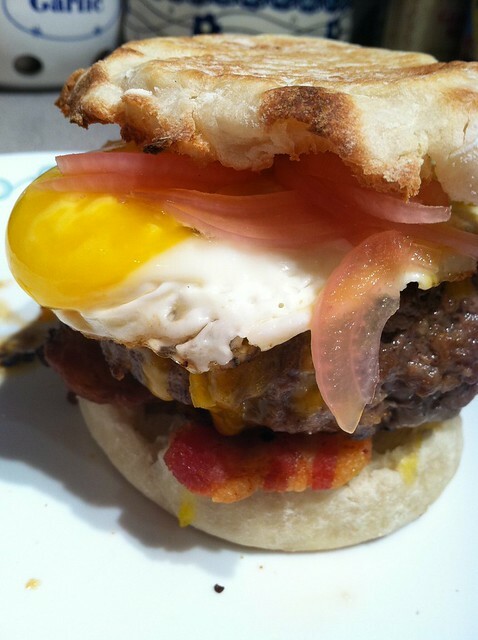 This burger has bacon, cheddar cheese, pickled onions, dill pickle (which I did not include because I don't like dill pickles), spicy ketchup, and A FRIED EGG - all served on an English muffin instead of a bun. With such a wide variety of flavors and textures, you'd almost think that they would all be competing with each other, but that is not the case. Everything was a perfect symbiosis of flavor and texture as preached by the gospel of Symon. And let me tell you, I was so enamored with this burger that I forgot about my side dish. I made mashed potatoes to go with it and I literally ignored them. You must understand that Beth ignoring a side dish is NOT NORMAL. I generally like the side dish better than the main course. Not this time. This burger was so good that it was the first thing I thought of when I woke up the next morning. Well, actually, my first thought was, "5:30 I hate you!" But after that it was, "Mmmmm.... that was a good burger I had for dinner last night. I wonder if it would be bad to have burgers for dinner two nights in a row." So if you haven't already figured it out, I absolutely loved Live to Cook. If you are a jaded home cook like me in need of something fresh and new (and you aren't a vegetarian) then seriously consider giving this book a try. There's so much more I could say about it but given the novella length of this post, I'm going to wrap it up. All I can say is that whatever "Symon Says" I'm buying! With bold, colorful photographs and a fun, memorable chant as an ode to vegetables, kids are sure to get their mouths watering and asking for broccoli with dinner after reading this fun, accessible picture book. After watching the first season of Jamie Oliver's Food Revolution a couple years ago and watching in horror and heartbreak as a classroom full of young children couldn't even recognize the simplest of vegetables, it's high time we get books like this into our classrooms and start teaching kids what REAL food looks and tastes like. 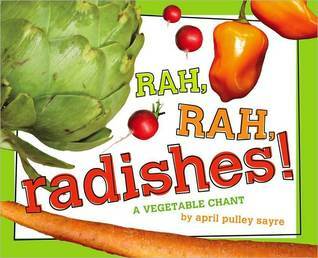 By showing that vegetables are cool, colorful, and attractive, books like this can help contribute to the solution to our society's unhealthy relationship with food that begins in childhood. 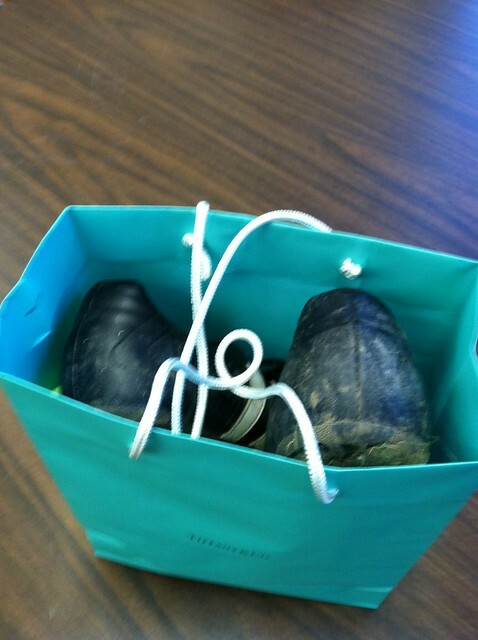 I'm surprised there's not more posts about this in the blogosphere right now. Unless you've been living under a rock, you probably already know that John Green's upcoming novel, The Fault in Our Stars, is set to be released in January. And you'd be living further under that rock if you didn't know that all pre-orders of this book will be autographed by John himself. To say this is a hugely anticipated book of 2012 is an understatement. Well this book now has a cover! My opinion? 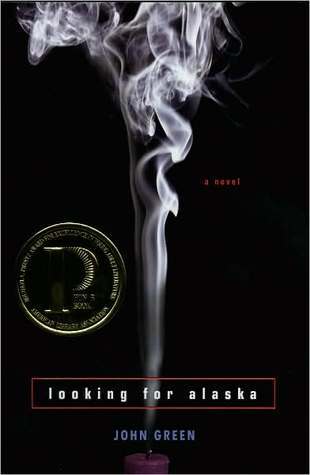 They definitely took a different approach with this book than the current trend of YA literature. When I look at this, my immediate thought is that they're trying to appeal to adults. The simplicity of this cover is very much indicative of the covers of literary fiction that currently grace the shelves of bookstores today. 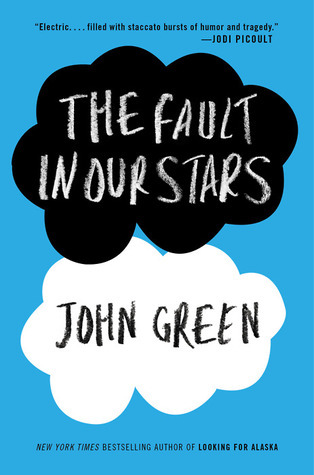 John Green has very much been a pioneer in the YA literature world. It may sound presumptuous of me to say this, but I think this cover is another example of his presence and his novels forging new trails. 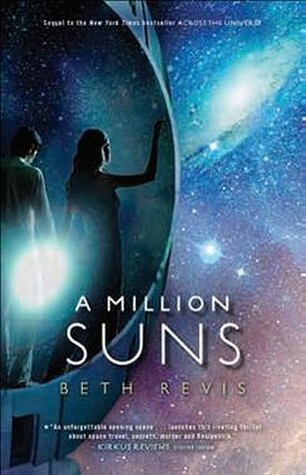 I am generally not a huge fan of science fiction but Beth Revis wrote such a vivid, intriguing world onboard the Godspeed that now I am waiting with bated breath to see what happens next. I loved that she ended Across the Universe with a satisfying sense of closure, but set up the story for this next book. 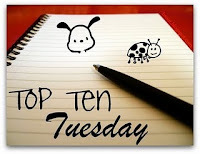 I haven't done a Top Ten Tuesday in a while, but I loved this topic, so I couldn't resist. Anyone who knows me knows I'm mad about pugs. Well, I love all dogs with smooshy faces, but I have a particular penchant for pugs. 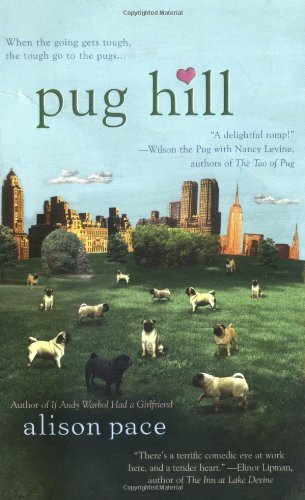 When I first saw the cover of Pug Hill, it's all I could do but die from cuteness. And then when A Pug's Tale came out? Cute overload!!! 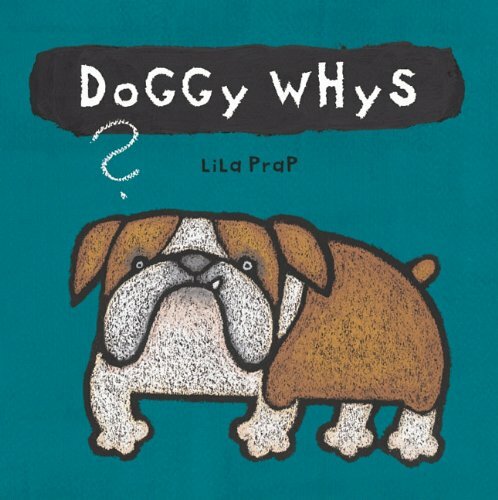 In the same vein as Pug Hill and A Pug's Tale, this picture book immediately drew me in by the pug on the cover. 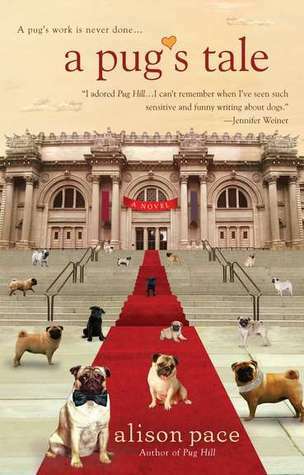 If you hadn't already figured this out, I can't resist ANY book with a pug on the cover. My favorite painting of all time is Starry Night by Vincent Van Gogh. This cover reminds me so much of Starry Night that it completely entranced me. I didn't care what the book was about, I was going to read it. 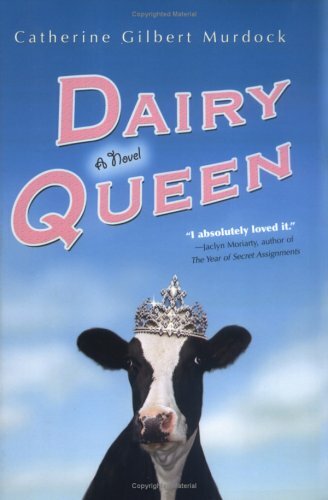 A cow in a tiara? With a cover like this, hilarity is sure to ensue. Then again, after I read this, I was surprised at how serious this book actually was. At the same time, I like this original, humorous cover MUCH better than the new, more contemporary one. 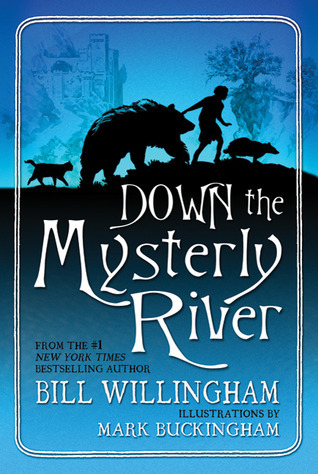 I'm starting to see that I have a major weakness for books with cute animals on the cover. Read this book you should. Hilarious it is. Resist a cover with Yoda on the cover you can't. Red is my favorite color. 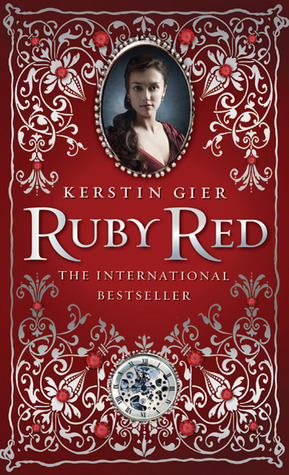 And the intricate design on this cover reminds me of a beautiful, flowing red gown with shiny, silver embroidery. And if you've known me from the time I was a very little girl, you'd know I LOVE sparkly dresses. If it weren't for this gorgeous cover, I certainly wouldn't have read the book since I've never been a big fan of time travel stories. Sadly, after reading this book my mind was not changed. 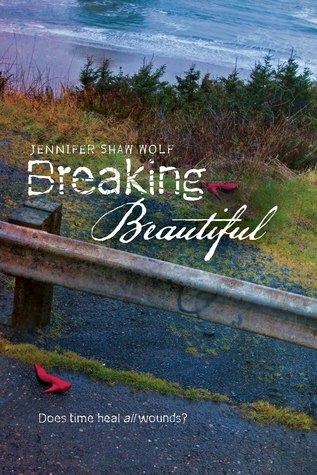 But hey, at least the cover's pretty. A flowing red gown AND the Eiffel Tower? Sign me up! Given the title of my blog, it's no secret that I love reading books set in real-life, bucket-list worthy locations like Paris. 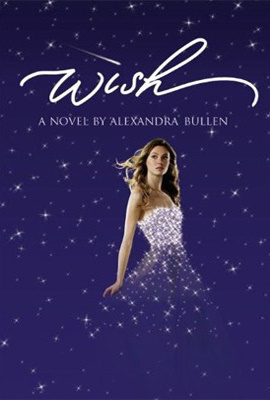 Now this book has the ultimate cover for a girl who loves sparkly dresses. I want a dress the color of night sequined with stars! 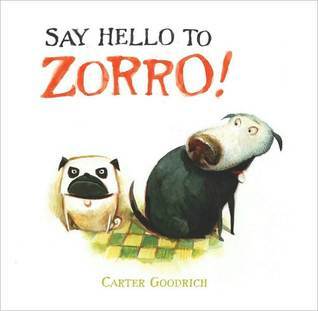 Every time I'd go to the book store, I'd see this book with the adorably awkward Boston Terrier on the cover and was so endeared to him. This dog reminds me so much of my pug, Guenter, that eventually I gave in and finally bought it. I've read so many dog books, that this one at first didn't seem all that remarkable to me. 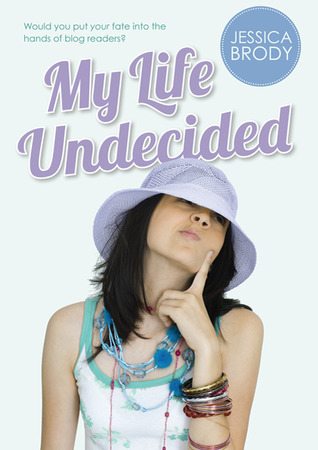 But in the end, the cover beckoned me and I couldn't resist that darling face. I'm glad I finally did buy it because it turned out to be one of my favorite dog books of all time. Hmmm... I'm starting to see a theme here. I read books if they've got sparkly dresses or cute dogs on the cover. Well at least I'm consistent. If you never know what to get me for Christmas or my birthday, just pick a random book with a dress or cute dog on it. Since fantasy is not normally my genre of choice, the premise really has to draw me in for me to sit up and take notice and want to read it. 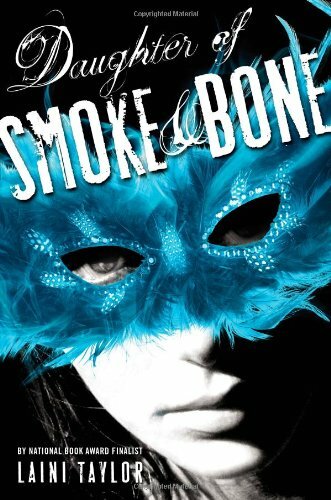 In the case of Daughter of Smoke and Bone, I was intrigued by the fantasy aspect of the story that took place in a real-life setting - in this case, the enchanting city of Prague, Czech Republic. Since so often I see things through the lens of travel (that is part of my blog after all), settings can make or break a story for me. 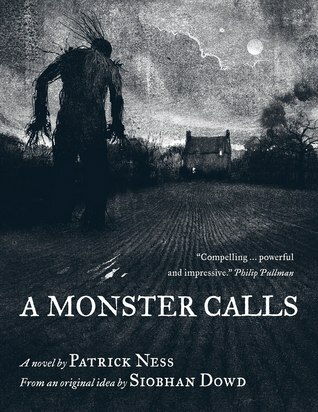 Since so many people have already reviewed this book I've decided that I'm going to mainly discuss how the setting impacted my enjoyment of the book. The streets of Prague were a fantasia scarcely touched by the twenty-first century - or the twentieth or nineteenth, for that matter. It was a city of alchemists and dreamers, its medieval cobbles once trod by golems, mystics, and invading armies. Tall houses glowed goldenrod and carmine and eggshell blue, embellished with Rococo plasterwork and capped in roofs of uniform red. Baroque cupolas were the soft green of antique copper, and Gothic steeples stood ready to impale fallen angels. The wind carried the memory of magic, revolution, violins and cobbled lanes meandered like creeks. Thugs wore Mozart wigs and pushed chamber music on street corners, and marionettes hung in windows, making the whole city seem like a theater with unseen puppeteers crouched behind velvet. I mean, c'mon! How enchanting does that sound? Which is why I found myself disappointed when two-thirds of the way through the novel, the setting changed from the magical backdrop of the capital of the Czech Republic to the fantasized world of Seraphim and Chimaera. Prague was so vivid to me, and as a result, Taylor's imagined world kind of made the story fade a little bit from my mind. This, I recognize, is nit-picking since my life and travels have caused my readerly bias to prefer stories that take place in the real-world. However, if it hadn't been for that real-world setting, I'm not convinced I would have read this book. So while the book kept me engrossed enough to want to read the sequel, I do so with trepidation and hope that it returns to Prague, but given how the story ends, I'm thinking it probably won't. This is still an amazing story and Laini Taylor deserves a huge amount of praise for her talent at being able to seek out and find just the right words. Her sentence structure and word placement is artful to say the least, masterful to say the most. 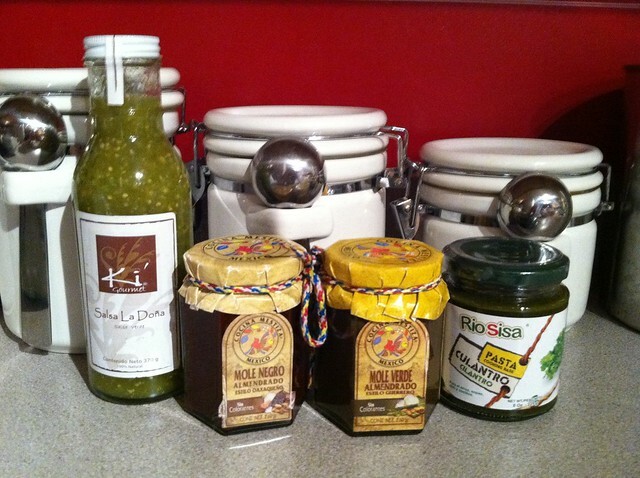 My husband just returned from a business trip to Mexico this week and per my request, he came home bearing gifts. I, however, am not someone who wants meaningless souvenirs that bear no significance to my life. Don't bring me back a keychain or t-shirt that was probably made in China anyway. No, what I asked for was something very simple: bring me back something food-related like condiments unique to the area. To me, there's no better reflection of a culture than through its food. Not to mention, these items are something I can't buy in the grocery store at home so it's actually a real gift from that country rather than something you can only find in souvenir shops that the real people of that place would never be caught dead with. My husband and I have a very clear policy regarding shopping and travel: don't waste your time seeking out useless souvenirs for friends and family because what do they want with a keychain from Amsterdam or a shot glass from Germany if they've never been there? 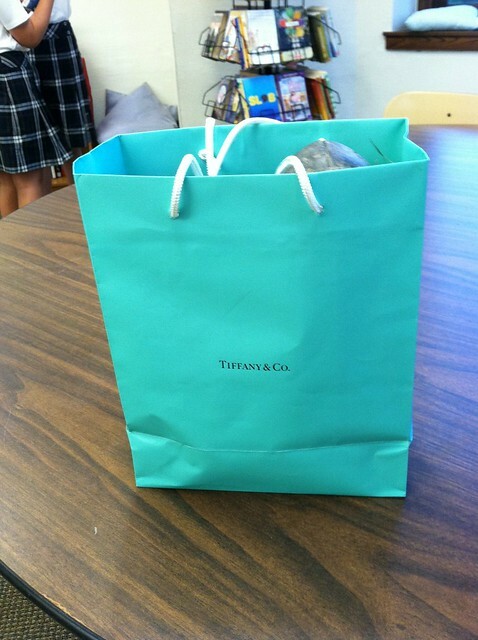 The only time we amend that policy is if we're shopping and we see something that reminds us of someone. Otherwise, we feel absolutely zero obligation to buy people stuff from our trips. Anyway, my husband came home toting several Mexican condiments in his suitcase and I can't wait to find a way to use them in a few dishes I make in the next few weeks.Travel is such a wonderful opportunity to explore new flavors, and just because I didn't go on the trip with him doesn't mean I couldn't benefit from experiencing those flavors somehow. 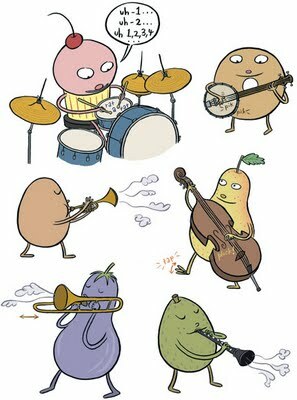 I'm looking forward to playing with these flavors and coming up with something mouth-watering for dinner. The only bummer from all of this is that if it turns out to be delicious, I'm going to have to send The Husband back to Mexico to get some more. The year is 2083 and Anya Balanchine might outwardly appear like your typical 16-year-old girl from the twenty-first century, but outward appearances can be deceiving. In a world where chocolate and coffee are illegal, Anya has grown up in a family where chocolate is the family business. With both her parents having been murdered due to her father's mafia connections, and an ailing grandmother who is their legal guardian, Anya is the de facto head of her family. She does everything in her power to make sure she doesn't get separated from her siblings, which right off the bat, shows the reader how practical and matter-of-fact she is. 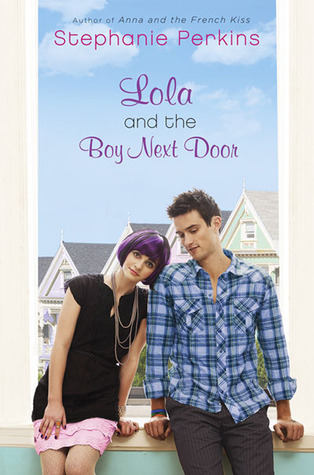 Only when she meets a new boy at school, who ironically happens to be the son of the assistant D.A., does she start to break down her barriers and open up. Even still, with the possibility of love on the horizon, you never feel like Anya doesn't have her wits about her. Her top priority is and always will be her family, so in that sense, her practicality ends up being likeable rather than frustrating. In the hands of a less dexterous author, a character so matter-of-fact and practical might come off as being cold and unfeeling, but Zevin skillfully creates a wonderfully empathetic character in Anya. 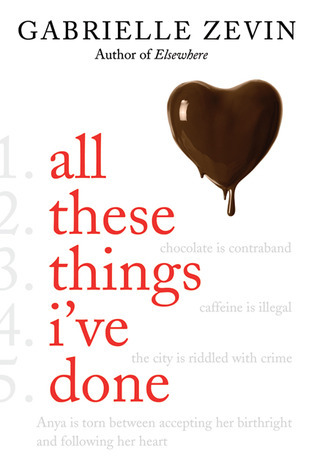 The narrator of the audiobook is Ilyana Kadushin, of Twilight fame, and her performance in this audiobook was as luscious as a Balanchine Special Dark chocolate bar. 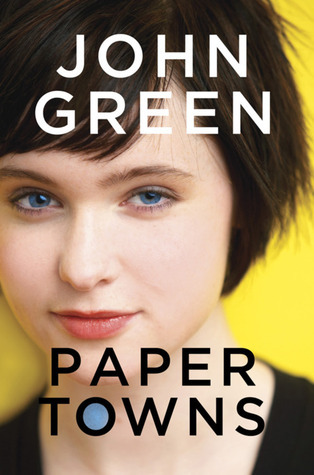 I think her narration of this book was far superior to her performance of the Twilight saga. I thought she wasn't expressive enough and rather one-dimensional in her Twilight performance, and her only saving grace was her exquisite voice. In All These Things I've Done, however, her performance was much more dynamic and expressive. Not only was her voice satisfying to listen to, but she learned from her previous experience that simply having a beautiful voice does not a good narrator make and that you need to put some emotion into it. In Twilight she was stoic and unfeeling, in All These Things I've Done, she was much more charismatic. In reading other reviews of this novel, everyone labels the genre as dystopia, but I'm not really buying the dystopia moniker. Yes the book takes place in the future and yes, society seems to have degraded, but not enough of the American culture has changed for me to believe that this is a true dystopia. I guess the reason people have labeled it dystopia is because there isn't really any other genre it could be. To me though, it's sort of dystopia-lite. 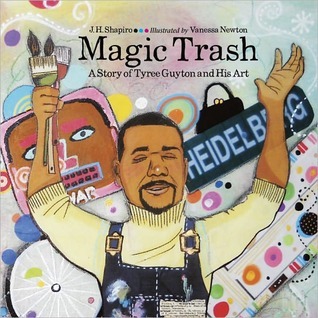 Even with the dubious genre labeling, this book is still worth every second of your time - whether you listen to it or read it. I will definitely be one the people coveting an ARC of the sequel! I haven't done a Waiting on Wednesday in a while because I have been so insanely busy with teaching that I haven't had much time to even think about my blog during the week, let alone write in it. This is one of those books that I totally judged by its cover. The distinctive red high heels along the road near the guardrail clearly indicate an ominous foreboding in the air and it makes me want to know more. But sometimes I judge the book by its cover and then read the synopsis and decide to pass on it because even though the cover is compelling, the synopsis does not make the story seem so. 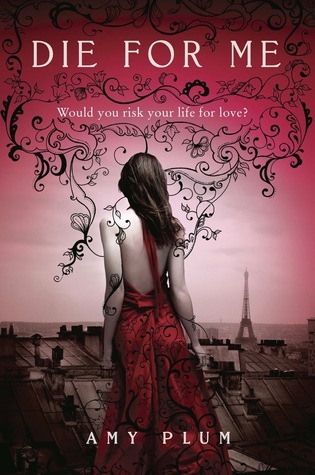 But, after I read the synopsis of this book this book, I still definitely want to read it. 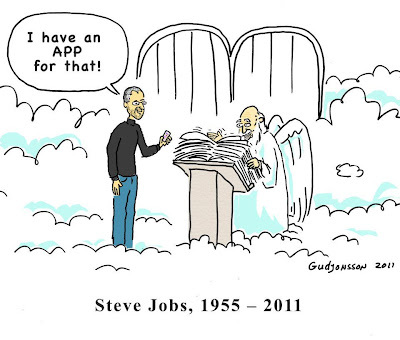 Rest in peace Steve. Thank you for all the work you did here one earth. 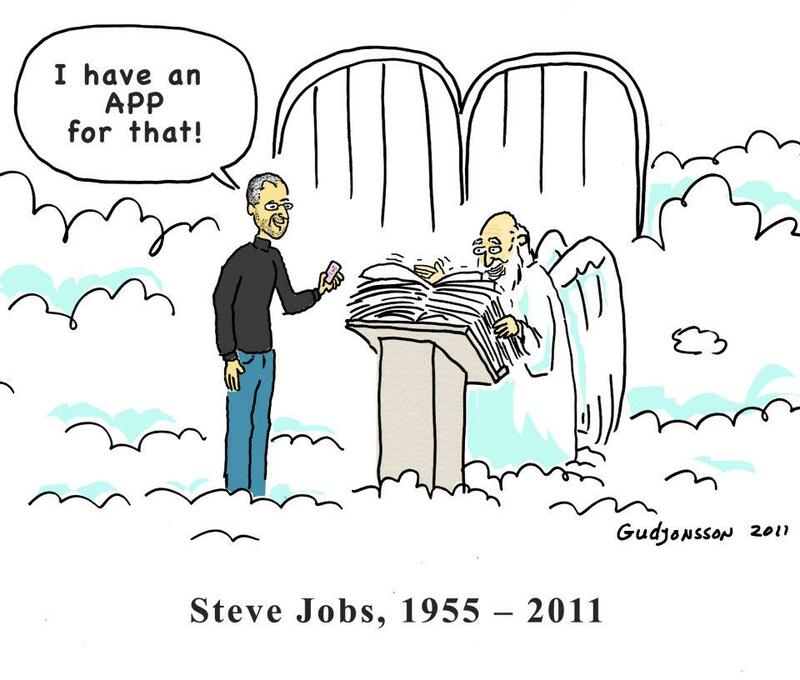 I hope you're just as productive in the afterlife. 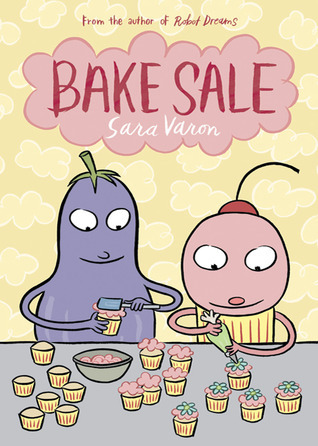 I know there is a lesson or two buried within the pages of Sara Varon's latest graphic novel, but that is honestly the last thing I was thinking about as I was reading this adorable story of a cupcake's life as a bakery owner. All I could think was how happy-making it was for a food-lover such as myself. I got such a kick out of seeing all the different foods as characters, and got even more satisfaction out of seeing that Varon writes this story using language to indicate that she might be a foodie herself. This would be a great read for kids who are budding bakers, but it is sure to bring a smile to the faces of adults who like to satisfy their sweet tooth by creating confections in their own kitchens. 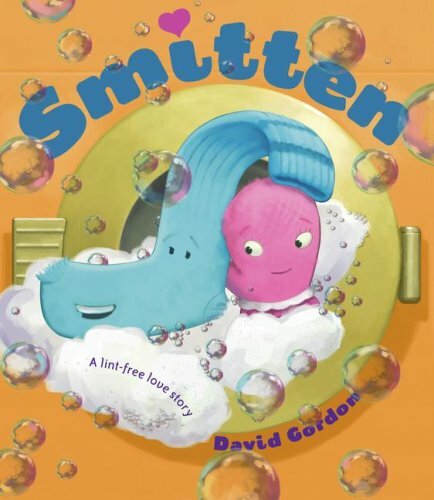 The illustrations in this graphic novel use muted, pastel colors, yet they still manage to pop off the page with their sprightliness and personality. 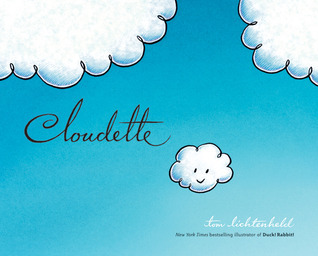 This is the perfect book to read when you need a good cheering up. I mean, how can a talking cupcake with his own bakery, a sandwich shop-owning carrot, and a banjo-playing bagel make you anything other than happy? And as an added bonus, Varon recognizes that reading a book like this is sure to make the reader hungry for baked goods so she includes the recipes that Cupcake makes in his bakery at the end of the book. 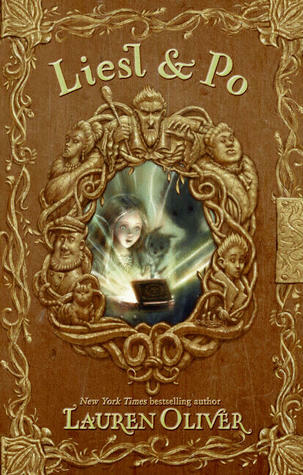 Libba Bray is a mad, crazy genius. 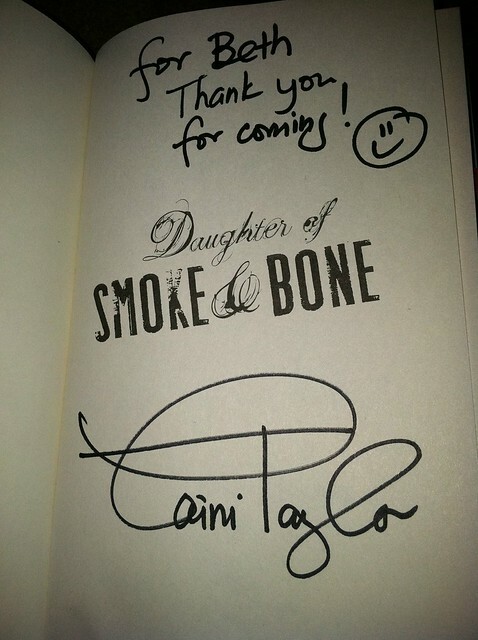 I do not claim to love everything she writes -- I'm still scratching my head over Going Bovine -- but I also can't deny her talent and ability to get her readers to think. She doesn't write fluff. She really goes for the symbolic. 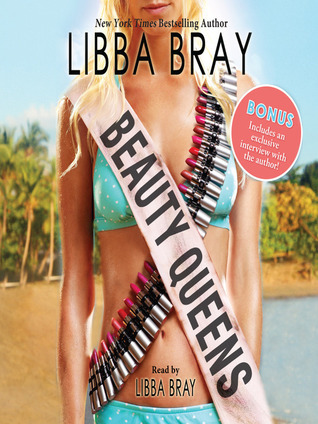 So I don't know why I was surprised when Beauty Queens turned out to be more than just fluff. I was expecting a wild, campy romp through a desert island with some ditzy cheerleader types, which is how the story starts off, but the more invested in the story you become, you begin to realize that this book is also a political statement, an imploring to get the reader to question the gender roles and stereotypes we've become accustomed to in our society. Let's talk about the audio presentation for a bit, shall we? 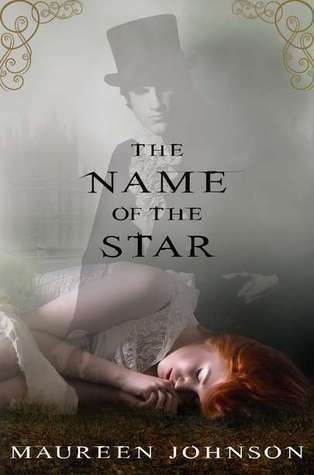 It's not very often that an author can narrate her own audiobook, but Libba Bray rose to the challenge and performed the heck out of this book. It is clear from the word go that she obviously has a theatrical background because her emotion and character voices were perfection. 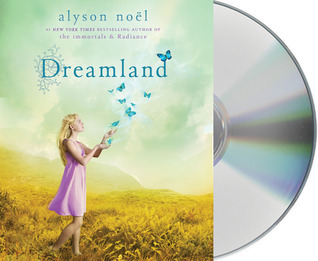 I would go so far to say that this is one of the most memorable audiobooks I have ever listened to. The "commercial breaks" all had entertaining soundtracks and the way they were able to get the footnotes to work (with a little "Ding" type noise every time she went to read one) without being distracting was pure genius. 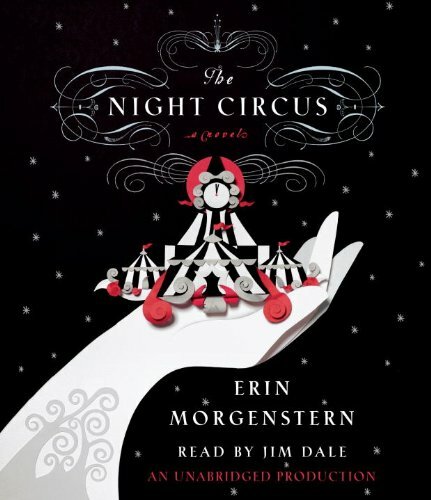 This is one of those few audiobooks that manages to make book more enjoyable than if you had read it. 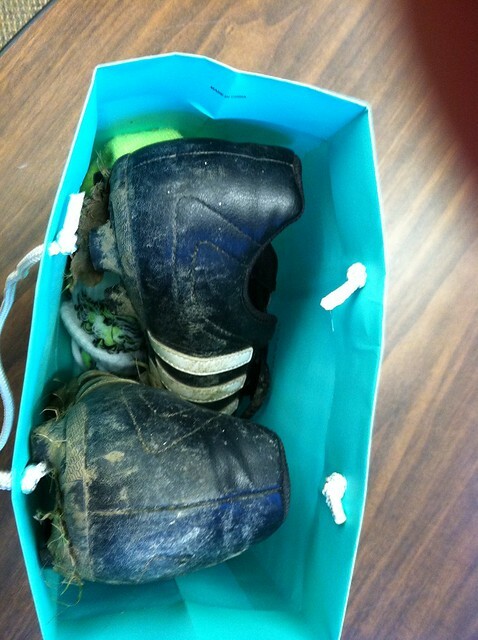 That, in my opinion, is how you know you have an talented audiobook narrator. Based on this rolicking performance, I hope Libba will narrate all of her future audiobooks. Check out my recap of the event here.